Maya priests observed the positions of the sun, moon, and stars. They made tables predicting eclipses and the orbit of the planet Venus. The priests also used mathematics and astronomy to develop two kinds of calendars. One was a sacred almanac of 260 days. Each day was named with one of 20 day names and a number from 1 to 13. Each of the 20 day names had a god or goddess associated with it. The priests predicted good or bad luck by studying the combinations of gods or goddesses and numbers. The Maya also had a calendar of 365 days, based on the orbit of the earth around the sun. These days were divided into 18 months of 20 days each, plus 5 days at the end of the year. The Maya considered these last 5 days of the year to be extremely unlucky. During that period they fasted, made many sacrifices, and avoided unnecessary work. The Maya Indians of southern Mexico and Central America used mathematics and astronomical observations to formulate two kinds of calendars--a sacred almanac of 260 days and a solar calendar of 365 days. Born of Mexican-American descent, the Mayan calendar became a childhood passion for Jose Arguelles in the 1950s during the decade in which astronomers began to realize that Native Americans practiced a sophisticated astronomy. After more than 30 years of research, he is known by many as one of the world's foremost authorities of the Mayan calendar. The overwhelming evidence of Mayan prophecy in the last decade of the millennia supports the accuracy of the calendar and the Arguelles' interpretation of the Dreamspell and Time Shift of July 26, 1992. After perceiving the final sequencing of the Mayan calendar in 1987, the Time Shift in 1992 was an adjustment of the annual calendar's be ginning to July 26, so that the Dreamspell New Year falls on that date each year. Since the codices of the Maya were destroyed in the European Conquest, the tables of dates and interpretations of codes were mostly destroyed. The few surviving codices are still "owned" by European museums and removed from the Maya, who have the cultural framework for interpreting them. During the 500 years since the Conquest, various Mayan tribes have adopted various new- year dates and interpretations. In 1992, the University of Guatemala identified the July 26 date based on an eclipse of July 11, 1991 and the Dresden Codex. The Arguelles' interpreted that date as the new beginning of the solar year. The month of July has heralded major earth changes and astronomical events since 1992. The most devastating storm season in history started with Hurricane Andrew immediately after the Time Shift in 1992. The flooding of the American Midwest broke all records in July, 1993. In July 1994, the Comet Shoemaker -Levy collided with Jupiter. In July, 1995, the Comet Hale-Bopp became visible near Jupiter on amateur telescopes. Photographs of this comet reveal a spiral formation at times and a square in the comet at other times. Reports of this comet were rumored as far back as 1985 from military sources, that it came close enough to be seen by amateurs in July may be a measure of a larger timing cycle. The sheer weight of physical evidence leans heavily towards the accuracy of Jose and Lloydine's July 26, 1992 date as the point when a new sequencing of planetary time and, therefore events, accelerated. Equating an end-date for the Mayan calendar round with a date in the European-based Gregorian system has been a heartbreaker for astronomers. Since the European and Native American systems are so different, the only truly accurate method of synchronizing the two was to identify a significant astronomical event, such as an eclipse, recorded on both calendars. This has been impossible due to differences in locations and calendars until July 11, 1991. "In 755 A.D. Maya Priests prophesied the total solar eclipse of July 11, 1991 would herald two life altering events for humankind: Cosmic Awareness and Earth Changes. Shortly after 1:00 P.M., on July 11th, the prophecy began unfolding. Beneath the eclipse of the century, that Mayas had labeled 'The Sixth Sun', a silvery disc shaped object hovered silently above the world's larg est city. 17 different people, unknown to each other, in deferent locations of Mexico City, videotaped the structured ship - Cosmic Awareness had begun. The wave of UFO activity continued in the skies over Mexico and, due to the video camcorder, became the most documented mass sighting ever. For months, a team of international investigators from the U.S., Mexico, and Japan followed the trail of the UFO sightings through the volcano zone to Mount Popocateptl, the fourth largest volcano in the world... Once dormant... Now awakening...' (Messengers of Destiny Video, Genesis Ill). Based on the July, 1991 eclipse, Jose & Lloydine identified the July 26, 1992, Time Shift. 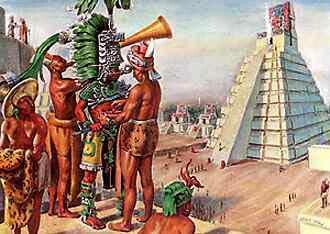 Using a day-by-day count, Euro-American astronomers could finally synchronize their calendars with the Maya Priests. The visitors from the sky that Jose called the Galactic Maya in 'The Mayan Factor', had made good on their promise to return on that date and evidenced the reality of galactic culture that Jose prophesied in his 1988 letter to the World Community after Harmonic Convergence. December 2012 is the end-date projected by Jose & Lloydine for the Mayan calendar. With many astronomers and scientists now paying attention to the Mayan calendar, much debate has brewed over its end-date; this deserves some explanation. Without diverting to the many internal flaws and confusions of the European Gregorian calendar, neither of these issues are relevant to the Mayan calendar, seventeen solar years on the Mayan cal-endar is seventeen solar years, no matter what name is given the year in the Gregorian calendar. No matter what the number of the year on the Gregorian calendar may be, a day-by-day count references real astronomical events in solar days, bypassing the problem of year names in the Gregorian system. The only true point for correlating the two calendars is an astronomical event, which was identified by the July 11, 1991 eclipse. It is a fact that major discrepancies in year counts exist in the Gregorian calendar due to its overlapping the Julian calendar. But this has nothing to do with the internal functions of the Mayan calendar. Sequences and cycles are readily described as spirals in the Dreamspell and sacred geometries. The numbers of the Pythagorean Lambdoma are 1, 1, 1, 1 an 1, 2, 3, 4. This is an obvious sequencing that can be understood in cycles. The Fibonacci spiral is fundame tal to all life forms. The Fibonacci is a simple matrix that starts with 1 then adds 1 to get a sum of 2 the adds the previous number back into itself to get a sum of 3 (I +2=3) then repeats that sequence to get a ne sum of 5 (3+2=5). Primary numbers of the Fibonacci on the number 1 carried to 13 places are: 1, 1, 2, 3, 5 8, 13, 21, 34, 55, 89, 144, 233. Solar systems are designed by nature in Fibonacci spirals as are human hands, sunflowers, and shells. This sequencing is a fundamental design tool of Creation Spectacular patterns are found by applying the Fibonacci spiral to key numbers of the Mayan calendar: 20, 13 and 18. The sacred calendar (Tzolkin) uses 20 and 13 The civil calendar (Haab) uses 20 and 18. The common denominator of both is 20. 1 applied the Fibonacci sequence to the number 20 and carried the sequence out to 26 places. Then I multiplied each number of th sequence by 13 then divided it by 18 and discovered that the results of these factors shifted and started new internal sequencing at the 13th place in each sequence. The 12th place completed a sequence and the 13th started a new sequence internally. The 12th glyph of the Dreamspell is 'Human' and the 13th glyph is "Skywalker". The sacred calendar is 260 days and the civil calendar is 360 days with 5 unlucky days that are not counted. The Maya were well aware that a solar system is 365 days but chose to memorialize the number 360. Their simultaneous use of two calendars with astrology arrayed sets of ratios and sequences yet accounted for each day of the year in a way utterly foreign to the European calendar. The number 360 symbolizes space in a 360-degree circle or sphere. When a 360-day civil calendar symbolizing space is arrayed with a 260-day sacred calendar symbolizing fourth dimensional time, time-space ratios (coordinates) are discovered. The civil and sacred calendars synchronize every 52 years, so 52 is a central fractal of the calendars. The number 20 used in a Fibonacci matrix and factored with 13 and 18 produces internal sequences and cycles in the 12th and 13th places. With 12 solar months to 13 lunar months, the 12:13 relationship is part of nature's planetary design. There have been many projected dates for the ending of the Mayan calendar, ranging from 1957 to 2050. The 2012 end-date was defined by the Thompson Projection. Thompson's projection used a day-by-day count to cross -reference the Mayan to the European calendar rather than a count of years. This bypassed the problem of year names in the Gregorian system. Jose & Lloydine agreed with Thompson's 2012 date. More importantly, the 2012 date works with the hard facts evidenced by the accuracy of the July 26, 1992 Time Shift. Terence McKenna and Peter Meyer's Timewave Zero software that graphs time as a fractal demonstrates by graph the accuracy of the winter solstice of 2012 as the correct end-date of the Mayan calendar with graph anomalies appearing in the months of July. Beyond the stargates of this planet and solar system lies a cosmic scheme of underlying order in which the earth's flow of history unfolds in patterns of time. Galactic travelers have long traversed the corridors of time and space, and peri odically visited this solar system. The evidence of archaeological ruins on Mars and the moon are mute testimony to the presence of intelligent builders in now ancient history. The evidence is clear. Someone with advanced knowledge of astronomy has visited peoples of this planet and left calendars as a signature note. This is discovered in correspondences of world calendars: Mayan, Tibetan, Afri can, Vedic, and Hebraic. Similar calendar schemes are found in each of these cultures. The European calendar mandated by Pope Gregory in 1583 is the only world calendar that did not intercalate at least two celestial cycles. The Hebraic calendar acquired by Enoch after he was translated in a beam of light intercalated solar and lunar cycles in a fashion similar to the Maya. The Dogon in Africa were given four calendars by visitors from Sirius B: Solar, lunar, Venu sian, and civil. The Tibetan calendar is so similar to the Mayan that traditional scholars now speculate that they share a common origin. The Vedic calendar is based on cosmic cycles, or Yugas. An ancient Hindu astrology used 27 houses of 13 degrees 20 minutes, which are key numbers in the Mayan calendar. These calendars provided a time management tool that synchronized planetary cycles with visits from the stars. The Dogon calendar identified the 12 or 13th Century as the date of last visit; the Mayan calendar identified July 11, 1991, as an upcoming date of visit. Both of these dates coincided with significant planetary cycles. The cultures visited by the Galactic Maya were shamanic. Ancient Hebraic instructions for building altars and using precious and semiprecious stones are identical to those used by Native Americans. The ancient Tibetans were shamanic. The Dogon and Maya are shamanic. The Galactic Maya were shamanic. Ancient Hebraic instructions for building altars and using precious and semiprecious stones are identical to those used by Native Americans. The ancient Tibetans were shamanic. The Galactic Maya were shamans of planetary sciences, Cosmic Shamans who understood and utilized the cosmic flow of events. Their secrets were left with shaman in cultures who held the keys of their sciences. Until now the shaman's craft has appeared as superstition that scattered before the power of European-based science. But that same science has now brought planet to her knees in destruction of the biosphere. The Cosmic Shaman of galactic culture returned from the sky on July 11, 1991 to signal the time. Dialogs with extraterrestrials and those they came to awaken contain many keys that unlock the calendars and heal the planet. One of the keys came out of an extraterrestrial contact when the contactee asked how the craft operated. He was told that the extraterrestrial craft operated on the principles of sequences per cycle. That's a pretty good definition of time and ties into the reports that many ETs are time travelers. The premise of the Mayan calendar was sequences and cycles in planetary and galactic events. The Dreamspell is a galactic-solar calendar of cosmic relationships as they relate to planets and life forms. The Mayan concept of time was radically different than the European and particularly the Euro-American with its growing perception of time as a digital readout. The Mayan calendar was a self evidencing model of reality that encompassed an array of sequences and cycles. The Dreamspell, evolved from the Mayan calendar, crests the timewave in a magniflcent solar spiral Timeship Earth 2013. The Elders are the people who hold the knowledge and the prophecies. They can be children or adults. They can be born into any family. They were not allowed to comment on any of their prophecies until now. They know how to gather the knowledge in the pyramids which are on a vortex. Over 20 years ago, Gerardo Barrios began a quest to compare the ancient Maya calendars. He traveled to different villages in Guatemala, Mexico, Belize, Salvador and Honduras searching for the most traditional Maya elders of the different nations of the Maya people. These elders have retained knowledge of the calendars since the beginning of their history. Some of these elders live in remote, isolated villages that required days of walking through the woods on footpaths. Some are still living in caverns. Gerardo wanted to know if their calendars were all using the same count. With minor variations for language and names, he discovered they were. 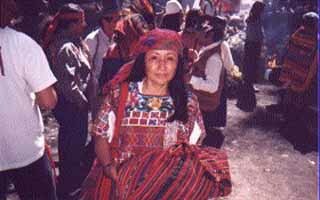 As a part of this search, in 1984 he and 9 other Maya Elders traveled to the Cuchumatanes Sierra of Guatemala to a village where the traditional Maya Elders have dedicated their lives to keeping the sacred Nimajay (house of prayer) fire for over 1000 years. They maintain this fire 24 hours a day as a prayer of peace to the earth and its inhabitants. After five days' walk through deep forest, they reached this village. The Elders there had known through their own visions that this group was coming and greeted them. Of the ten men who had journeyed there, five were called into the Nimajay. Gerardo was one of these. Inside the Nimajay, the Chimbam (higher authority) Elder took Gerardo aside and talked to him. In this and two later visits, he introduced Gerardo to the prophecy of the Feathered Serpent Kukulkan, a snake-like sacred earth energy that moves through the land. The Maya Elder who had begun to work with Gerardo explained how this energy arises periodically and showed him on their calendar and on a map that Gerardo had brought with him when and where it had appeared. Later, when Gerardo tracked these times and places through history, he found events such as the great spiritual awakening of Tibet in the 50's, the anti-Vietnam War movement of the 60's, and people such as Martin Luther King. These events correlated with the ancient prophecies. The Chimbam Elder's revelations and instructions would profoundly affect the course of Gerardo's life. He began the work assigned to him. The story continues with a second thread. As an adult, Mercedes had moved to the United States from Guatemala. After living here for awhile, she heard the call of her ancestry to return to her native country and her roots there. She searched for the Elders she had once known as a child and young person. After two years' work she met Gerardo. He told her his story and the prophecy and they began to work together as friends and colleagues. Gerardo and Mercedes have devoted their lives to sharing the ancestral knowledge. Part of this is the teaching of the Maya Calendars, of which there are 20. Only 15 of them may be spoken of at this time. Mayans track 20 different cycles (calendars) of varying durations, which have to do with plants, humans, prophecies, numerics, solar system, galaxy, universe and the divine to name a few. There are a total of 20 calendars. The 20 calendars can be used to understand our mission in this dimension. One of the calendars is the sacred CHOLQIJ - HUMAN - calendar. Gerardo and Mercedes share the commitment to teach this Calendar now, during this critical time of change when Mother Earth is cleansing from the damage humanity has caused. How can this calendar be of help to us now? This calendar represents 13 forces and 20 energies. Each day has a glyph (an energy) and a number (a force). The glyphs of the 20 days resonate with a particular animal or bird as well. Studying the energy in association with its force in sequence guides us to a deeper understanding of the different vibration of each day. The human calendar has 260 day cycles. 13 X 20 = 260 days = 9 months = gestation period for a human being. No two days have the same force or energy. The calendar has a perfect count. It represents the energies governing the human body. It has been in existence for millions of years. It is actually used in glyph form and has been since the beginning of time. The Elders say that the first wise humans visualized cycles of life that repeat - some short and some extremely long. The calendar can be used to plan certain activities. Certain days empower a certain energy and other diminish the energy. Some days are good for resting and so on. We begin to enter into it. Holding awareness of it, we find which times are propitious to accomplish tasks at hand and which times we need to avoid traps and dangers. Holding consciousness of the energy of the day deepens our awareness of the Earth and brings us in contact with ourselves as beings in synchronicity with Earth's rhythms. We sense our place here and the place of other human beings, other animals and plants, the other living kingdoms with whom we share our planet. We naturally, then, become more aware of ourselves as caretakers of the Earth, in harmony with Her, compassionately envisioning not only what we need, but the balance of needs of all beings in this and future times. According to Maya Cosmovision, as we become aware of the different vibrations of the Earth we will become connected with all Life. Through this connection, we have the potential to heal humanity and Mother Earth. The CHOLQIJ calendar is one of the precious tools we now have to change how we are dreaming the world and the future. Examples of the calendar: 9/11/2001 (The terrorist attack on the World Trade Center) mapped to 6 IMOX which represents change in the physical world. US attacked Afganistan on 6 KIEJ meaning to 'settle' or 'balance'. The Gregorian calendar is not in harmony with the forces of nature. The original Egyptian calendar was. But the Egyptian calendar was later modified by the Greeks/Spartan and then the Romans etc. 30 yrs after the birth of Christ, the calendar was off by 12 days. They had a council to bring it back(Julian). In 1582 it was again out of line and Pope Gregory brought in the best astronomers to align it once again. It still suffer changes. The Russian Orthodox did not accept this calendar until much later. We are now in a transition period called the 'Cycle of the merge of the dark and the light.' During this time humanity is going through great transition. The preparation for this is now in the womb of the Earth so to speak and the process of change is bringing transendental manifestations. This new era will be very positive. "Let all beings rise. Let not one or two stay behind". The spirit beings, different philosophies, different races must begin to weave together all knowledge to create the tapestry of harmony and balance. We are all seeing the evidence of this shift in human consciousness now. The spiritual energies/knowledge have been moving from Tibet over to the Americas (not just the US, North and South America) since 1948. The Elders or many indigenous tribes have been monitoring and assisting it. There has been historical evidence of its movement. For instance, it left Tibet in 1948 and in 1950 the Chinese invaded. It reached North America in the sixties and we experienced the Civil Rights movements - one pacifist (Dr King) and one more revolutionary (Malcolm X and the Panthers). The 2 processes settled and harmonized into a civil process. The various revolutions in South America also directly coincided with the passage of the energies through those areas. This movement of many energies has provoked earthquakes, civil wars, revolutions. It moved from Tibet through the mountain ranges of Asia, through Russia, over the Bearing Straits through Alaska, Sierra Madres ... the Andes in South America. When it arrived in Panama, there was a backlash due to the Panama Canal (they cut through the mountain to build the Canal) and this caused more violence in the area in the early 90's (Sandanistas, massacres in Guatemala, Mexico separatist movement). The elders ordered much spiritual work bringing together many indigenous tribes from many countries to perform "planetary acupuncture". In 1997 the energy moved into the Amazon in Columbia. Its final destination is Lake Titicaca. After which, according to the prophecies, harmony and unity will come greater to the hearts of humanity. The ceremonial works have brought together Elders from the Innuits of Alaska and Elders from tribes in South and Central America. They now see all of the energies as one and the ceremonial works as being very similar. They had never worked together in this way before. There are physical as well as sacred technologies used in the ceremonies that are very powerful. The elders can see the results of this work. Quetzalcoatl, the feathered or plumed serpent, represents kundalini which is the movement of energy from the Earth to the base of the spine then up the spine. This serpent/fire represents transendence. Quetzalcoatl, "The whole American continent is represented by an eagle or condor. It (America) has been called to take the torch for these times. One wing represents the physical and the other the material. The spiritual wing must continue to lift. When balance comse of both wings, then America will come unto it's own bringing the spiritual and material resources together." There are 13 dimensions above us and 9 below. These dimensions also work with time. Time works at different rates in different vibrations. If you spend one day in a higher dimension you would come back one year later. If we go lower, time is more dense. 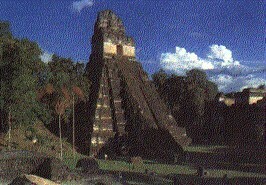 Mayans visit other levels physically. There are physical portals in many places. Humanoid beings exist in higher dimensions. They are somewhat superior to us. The lecturer has only visited one level higher (in the physical). More evolved sun systems have more evolved beings. Our sun is in its first stage of evolution. Super beings do not interfere in either a positive or negative way. They allow us to follow our process. There is communication with people that are very evolved in this dimension but they don't interfere. Based on prophecy, the Mayan priests knew the Christians to burn all of their physical records so the most superior Elders hid them. There still exist today, in certain groups with unbroken lineages. Sacred objects, guardians of energy, sacred music, guardians of technological objects etc. Nothing has been lost. The Tibetans had advanced technologies. Humanity is still not evolved enough today to use some of these technologies. The elders have known about - magnetic recording, jet propulsion, radar, and television. The Mayans had radio communication in the Stone Age. We are the Maya of yesterday, the Maya of today and we will be the Maya of tomorrow.